Generally denoting the Persian province of Elam ( ). It occurs in two places (I Macc. vi. 1; Josephus, "Ant." xii. 9, § 1) as the name of a rich city besieged by Antiochus Epiphanes. But the other historians who relate this event do not mention any town of this name. The existence of such a town has been denied, the name in I Macc. vi. I being explained (see Vaihinger in Herzog's "Real-Encyc." iii. 749) as a mistranslation of an original "be-'Elam ha-Medinah" (comp. Syriac and Arabic versions). 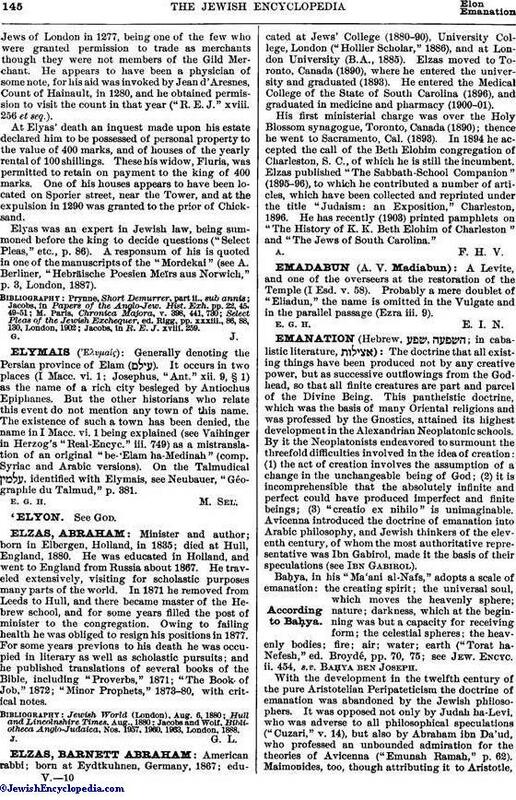 On the Talmudical identified with Elymais, see Neubauer, "Géographie du Talmud," p. 381.